In biology, it is clear that access to more genes leads to greater overall health. This is true because it allows for a greater likelihood that a genetic defect can be compensated by a gene from a different pool. This is the reason that inbreeding leads to more genetic diseases. This same phenomenon exists in social science. Complex social networks are healthier than more narrow (constrained) ones. Dr. Amar Dhand of the Brigham and Women’s Hospital’s Department of Neurology has, for example, shown that people are more likely to get to the emergency room in time to receive a clot busting therapy for stroke if they are part of a more complex, rather than constrained, social network. The probable reason for this effect is the diversity of ideas that are available in the complex social networks is greater than in the narrow ones. Despite these advantages, human beings tend to resist diversity, depending instead on a competing drive to create cliques and clubs. In Arlie Russell Hochschild’s book, Strangers in Their Own Land, she attempts to understand what she sees as a paradox. Why do people vote in manners that seem to be contrary to their own self interest? In fact this is not a paradox, but rather simply a competition between two deeply ingrained human traits; one biological and the other sociological. The phenomenon of professional burnout is a case in point. It is generally defined as a sense of cynicism, depersonalization and ineffectiveness. Some believe that we are in the midst of an epidemic of burnout, affecting as many as half of medical doctors, for example. The causes of burnout are protean, but at the core of the problem is the perception of unfairness; that one is the subject of a form of bias or prejudice whereby certain resources are unfairly distributed by a powerful force, such as the employer or the government. Any individual or group may be subject to this perception. Much of the conflict that is being expressed around the world can be understood as an analogue to professional burnout, in other words, caused at its root by a perception of unfairness. So what is perception and from where does it arise? It is useful to employ a theory of mind. By theory of mind, I mean the capacity to put oneself on another’s position. It is different than sympathy or even empathy in that it allows one to understand other viewpoints without actually experiences them oneself. There is neuroscientific evidence that there are some nerve cells in the brain (mirror neurons), which are specialized to respond to actions performed by another individual. These cells may or may not exist in humans, but it is definite that certain neurological conditions damage the theory of mind, making it difficult or impossible to perceive the perspectives and feelings of others. In related conditions, one may even become disconnected from one’s own body or thoughts, such that even major deficits, such as paralysis, cannot be perceived, a condition called anosognosia (denial of deficit). In other words, we live in virtual reality. What the brain experiences is, in fact, reality. Diversity is the solution to the apparent paradox. If one cannot perceive an aspect of the world, it can be helpful for another person to provide that insight. The more an individual, a group or society can provide diversity, the stronger it will become. This principle is not limited to one or another group. It is a basic biological and sociological trait of humans. Rather than a “republican” or “democrat” pollster, as they are always identified, what is needed is a diverse representation of the largest possible numbers of opinions, views and perspectives. Such an approach is the most effective immunization against burnout and its core cause, the perception of unfairness. The counterpoint to the narrow (constrained) network is the complex, diverse one. Wouldn’t it be nice if our media and our leaders could embrace this simple solution? 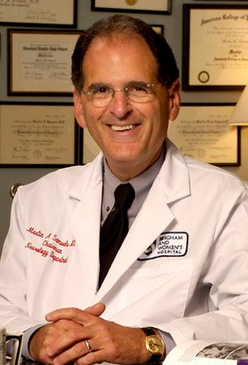 Martin Samuels is a professor of neurology at Brigham and Women’s Hospital. You just helped to explain why health outcomes studies structured to specific findings using convenience databases structured mainly for billing are a major problem. Not surprisingly we have published research studies that introduce more problems instead of offering real solutions. Given complex human interactions as the predominant shaping force in health and other outcomes, there should be a moratorium on such studies until the data is collected specific to the hypothesis and reasonable alternative hypotheses have been tested. Surely you have limits: would we function harmoniously if we looked like the Mos Eisley Cantina on the planet Tatooine in movie Star Wars? I would be interested in some pieces here on burnout, especially aimed at interventions/therapies. Most of those offering this look like quacks to me. I suspect we now know a lot of the things that reduce risk, but sometimes those risks are baked into the job. Plus, family issues just happen to everyone. Sometimes I can see it coming on in a good young doc and it is so hard to help stop it. Physician burnout is caused by perceived unfairness?